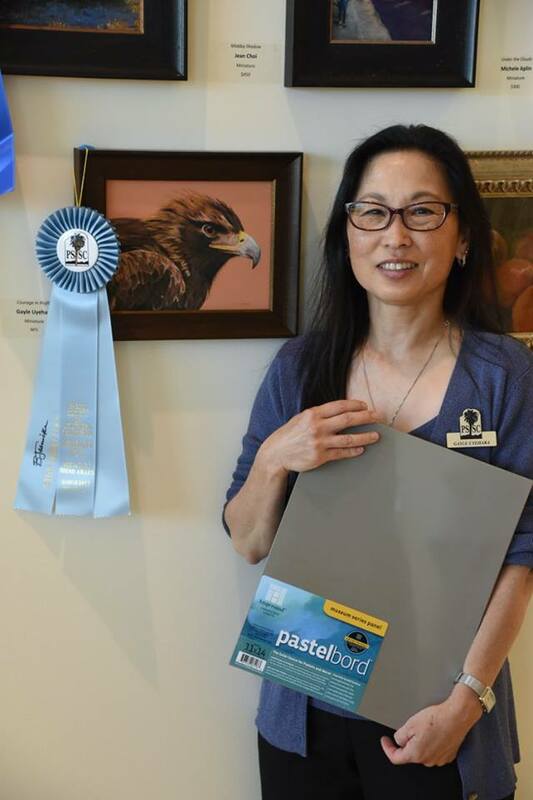 As one of the 10th Anniversary celebration events, the Pastel Society of Southern California hosted it’s first ever pastel mentoring program, March of the Mentors, on March 9, 2019! 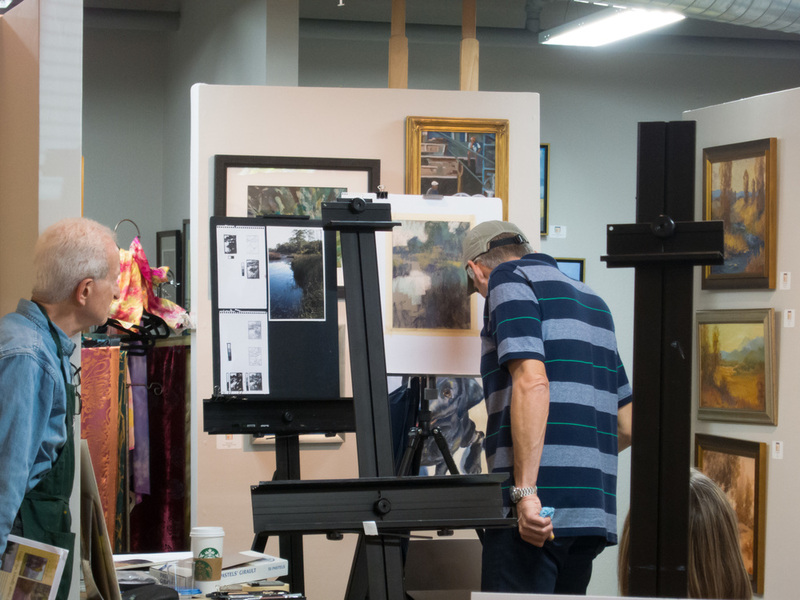 PSSC members were able to participate in an individualized small group session with an artist mentor/instructor for hands-on learning and portfolio review. It was a great success and we look forward to more March of the Mentor events in the future! 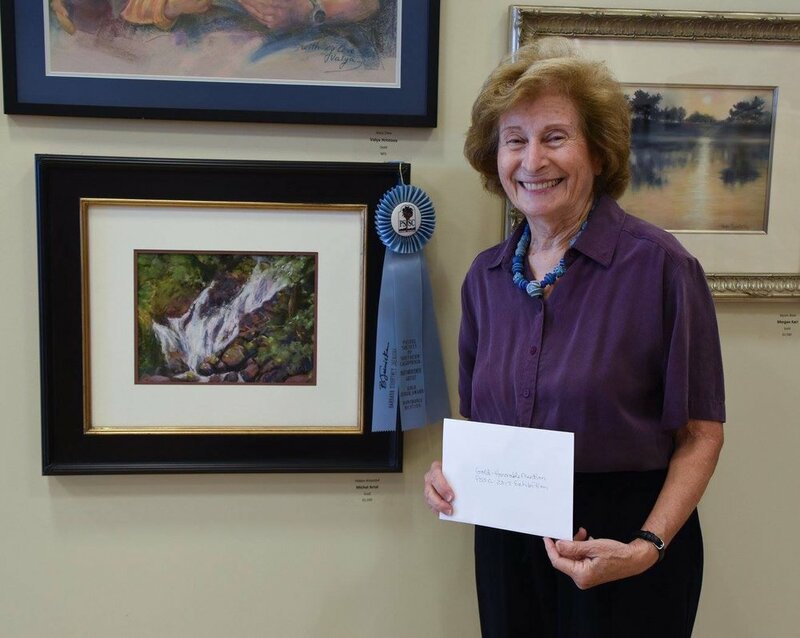 For most of her life, Dori has been involved in fine art and design. 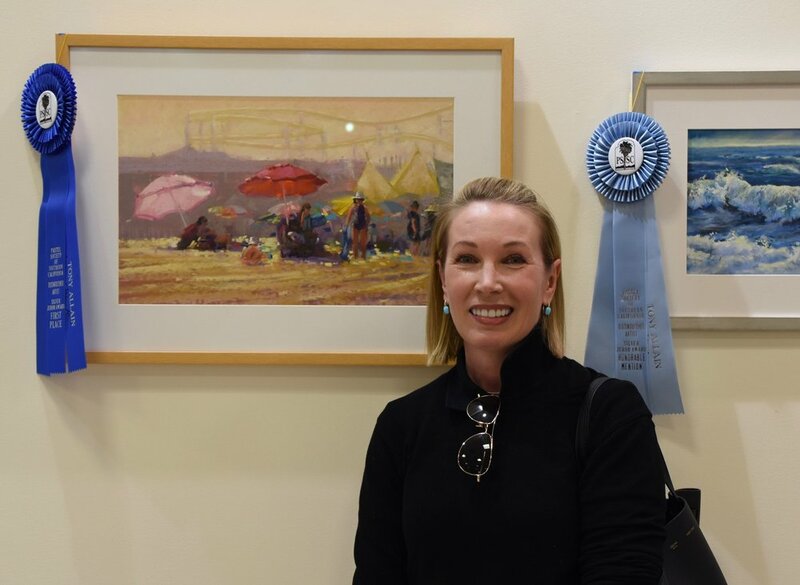 Her background has included titles such as art student, interior designer, architectural draftsman, grade school art teacher, workshop instructor, and pastel teacher. 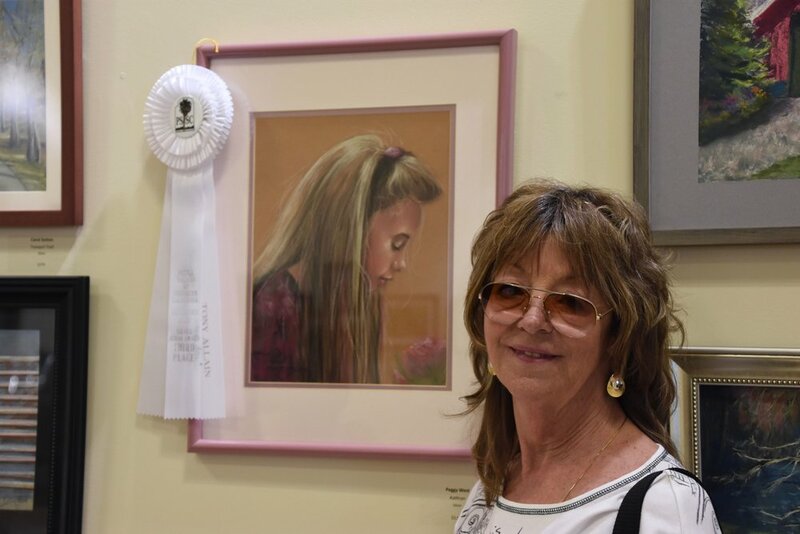 Her work in pastel has earned her many awards, most notably, PSSC Best of Show for two consecutive years, awarded by Richard McKinley and Marla Baggetta. An active member of the PSSC for six years, she has held the position of vice president for 3 years. 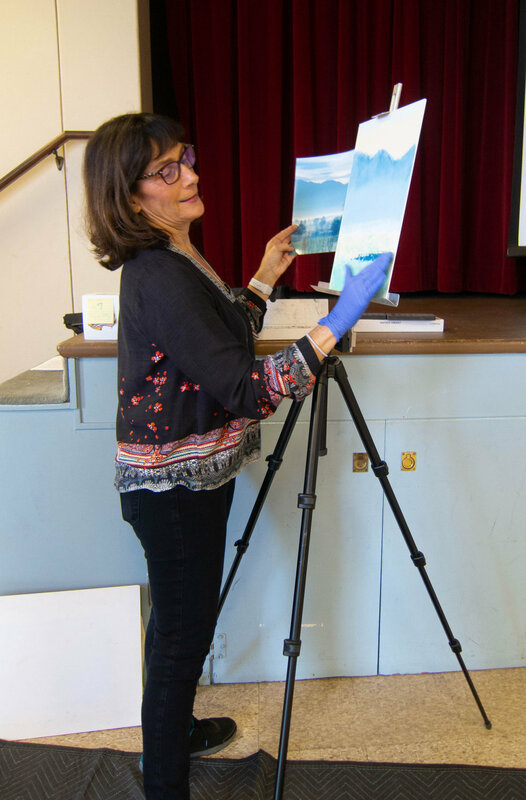 The process of creating a painting is most important and she loves to share that as a teacher with others seeking to learn more about pastels. Sophia (Zahra) Pezeshk was born in Tehran, Iran and received her B.A in Iran. She has the privilege of having some of the most well-known Iranian Professors of art like: A. Aghdashlou, N. Moslemian, and M. Jamshidi for 12 years. 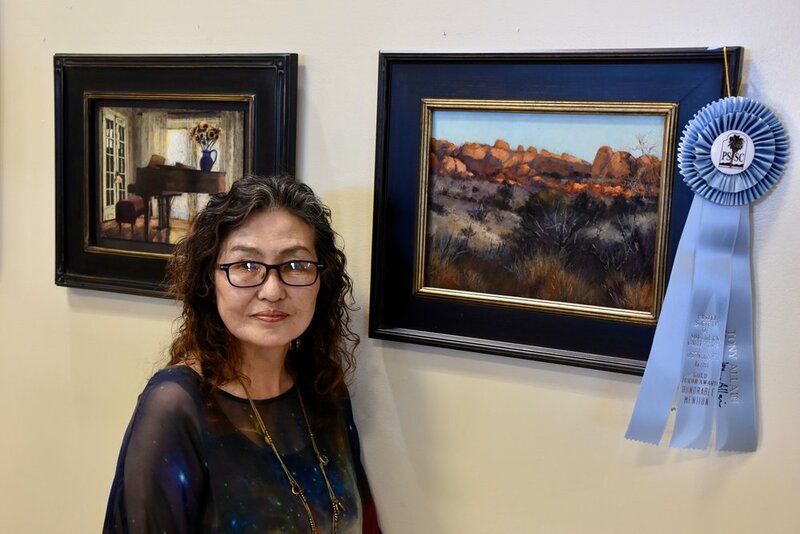 She has displayed her artworks in solo and group exhibitions in Iran and US and some of her drawings have been published as book covers.She has won awards for her pastel paintings. The bright side of Her art works is mostly focused on "hyper realism drawings" utilizing different mediums such as oils and pastels. 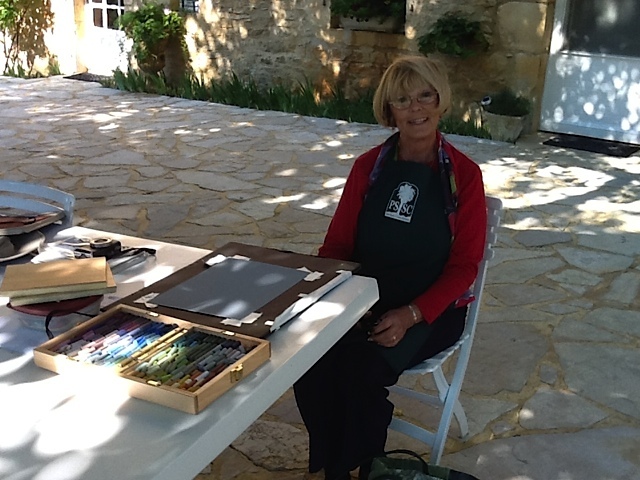 She started teaching art privately and in art academies since 2009. Born in 1971, Master Pastelist and International Award Winning artist, Otto Stürcke is primarily self-taught. 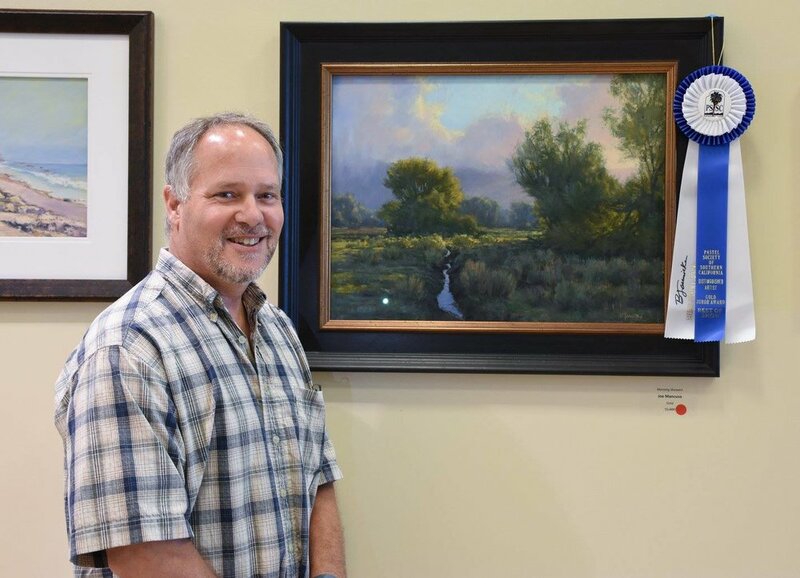 As a representational artist who is greatly influenced by the Dutch Masters, he seeks to find common ground between the contemporary and the classical by depicting the personal, the emotional, and the quiet elegance in his paintings through light, shadow, and texture. 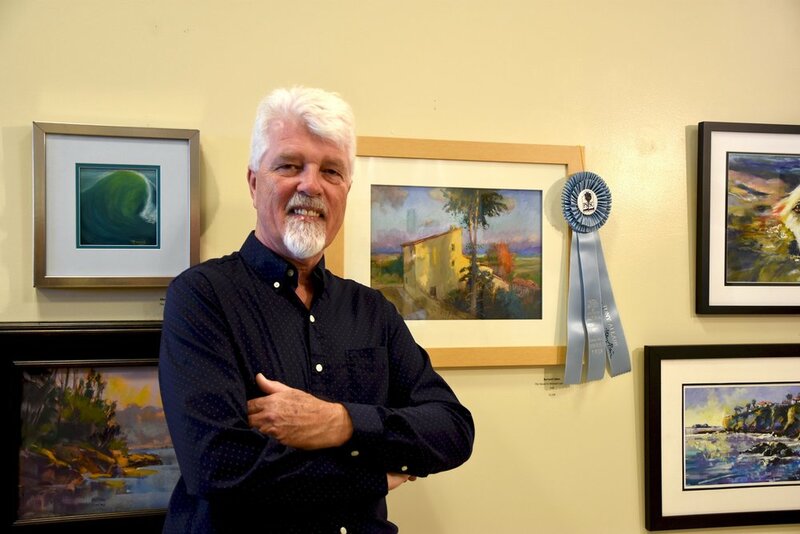 His work has been published in the Pastel Journal, Southwest Art Magazine, Artist’s Magazine, Pratique de Arts “40 Masters of Pastel”, and “The Art of Chalk”. David is a graduate of Art Center College of Design. 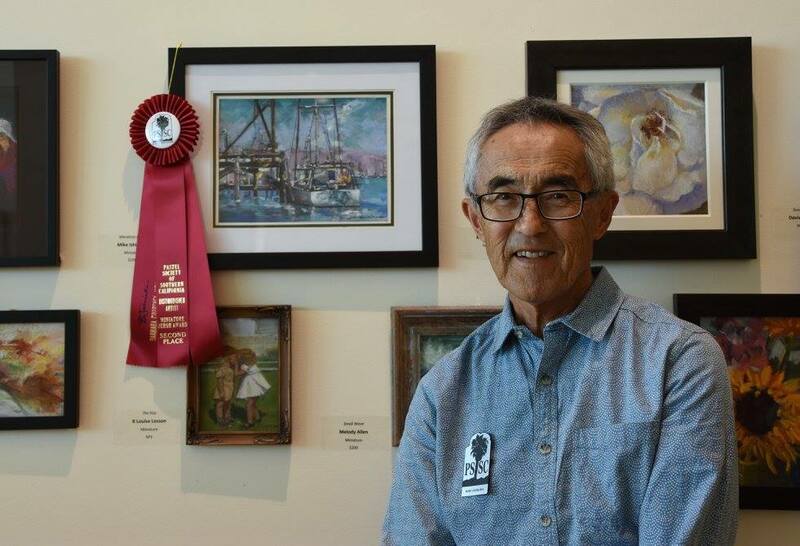 After retiring from a distinguished design career at Mattel, he devoted himself to Fine Art, working primarily in Pastels and Oils. 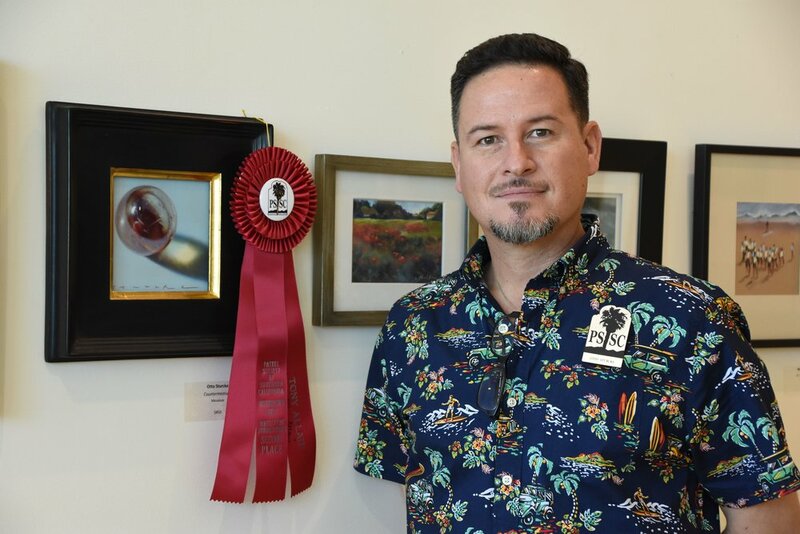 He is a founding board member of the PSSC, and is currently President of Destination: Art in Torrance, where he has a studio, and also teaches. The beginner class proudly show off some of their work! Thank you to all who signed up for this class! 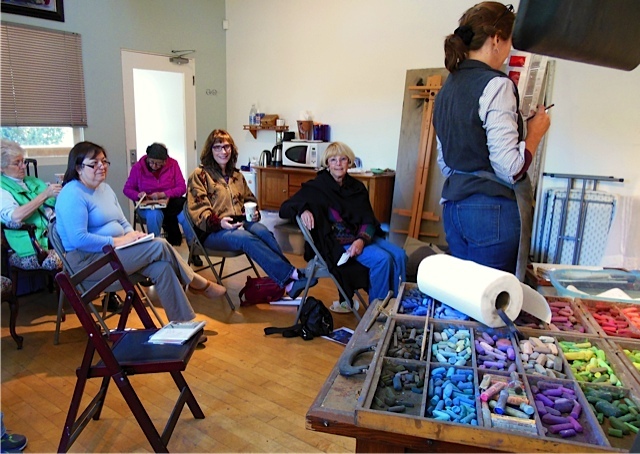 It was such a success that we look forward to many more beginner pastel classes in the future! Have you always wanted to try pastels? 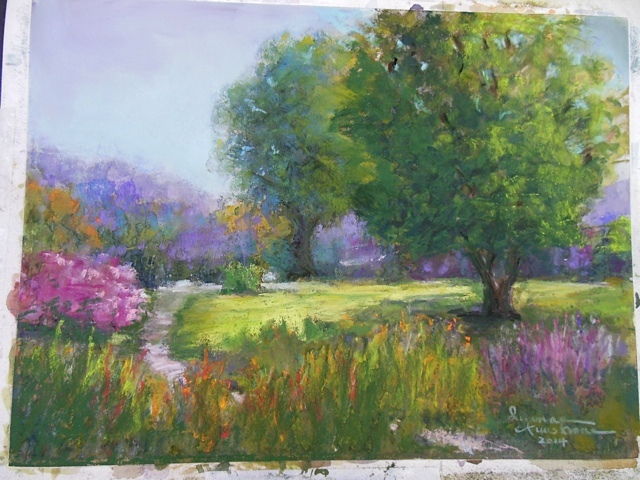 Have you wondered what pastels to buy, what paper to use, how to get started? Here is your chance! 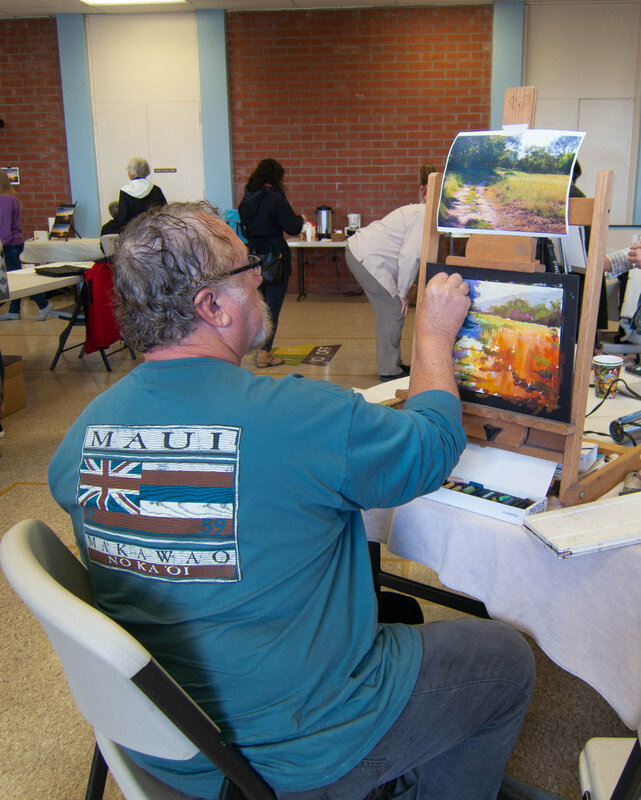 For the second consecutive year, the Pastel Society of Southern California is offering beginner pastel classes for those new to the pastel medium. 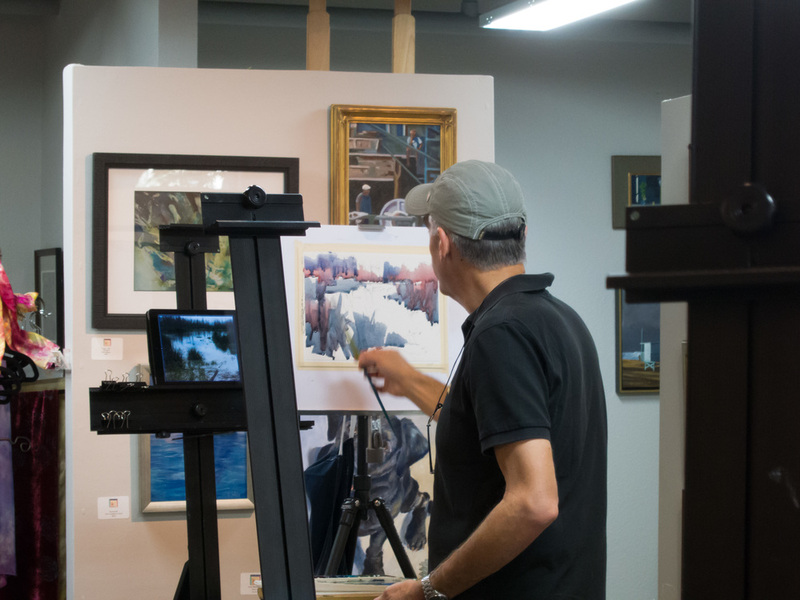 Don't miss this opportunity to learn from experienced pastel instructors as they guide you through pastel basics: from sketching and composition, to identifying values and creating an underpainting, to learning about color, surfaces and pastel application techniques! 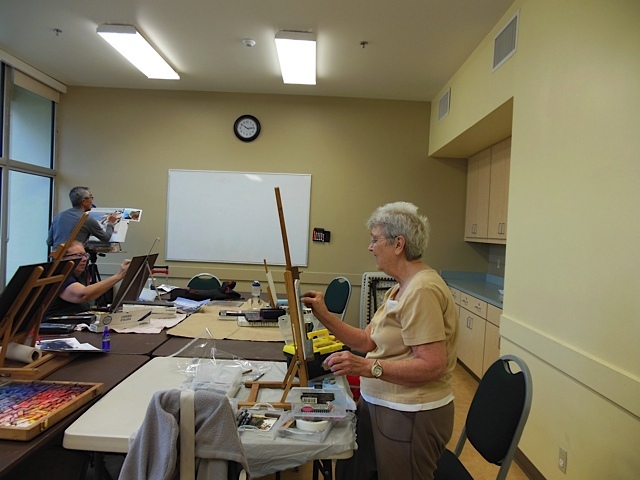 The first class, held on Saturday August 4th, was a great success! Since not everyone was able to get into the August 4th session, we organized another class in January of 2019. Keep an eye out for the next beginner class offered by the PSSC. When it is announced, don't delay since these places go quickly and sign up to secure your spot! Class size is limited to 16 students. Registration is first-come, first-served. Must be new to pastel. All supplies will be provided. 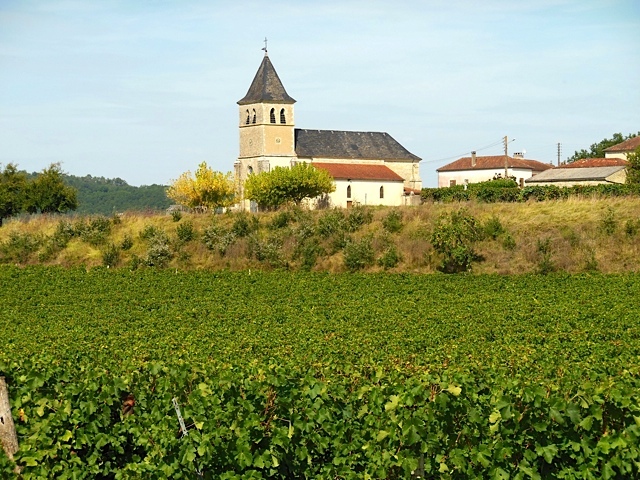 SEE WHAT STUDENTS LEARNED IN THE LAST CLASS! Distribute pastels, papers. Discuss different pastels: hard, medium, soft, different shapes. Discuss different papers, surfaces, making your own papers, toned papers, pastel boxes and organization, gloves. 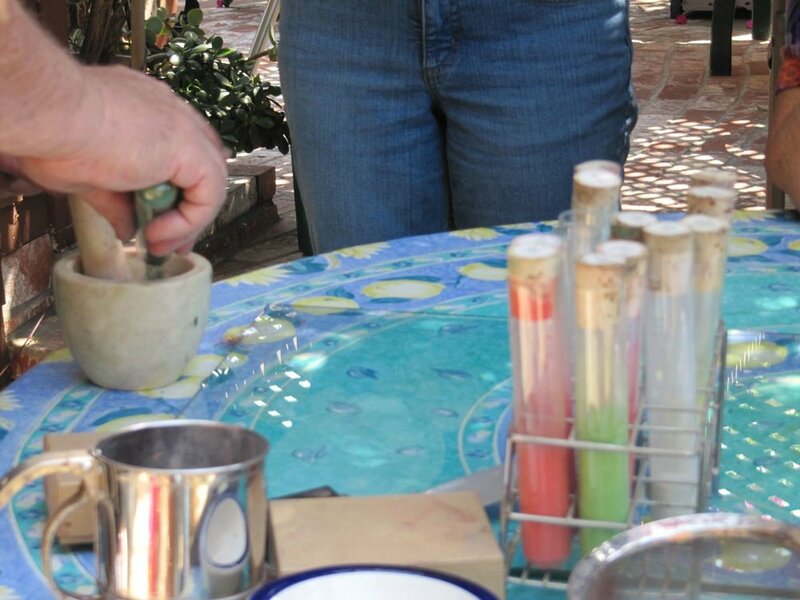 Discussion and demonstration of reconstituting and making your own pastels. Discuss pastel mark making: layering, blending, rolling, stutter, strokes. Use of color to show light. Practice exercise of sphere and shadow using color. Focus on the color spectrum and the optics of the camera . 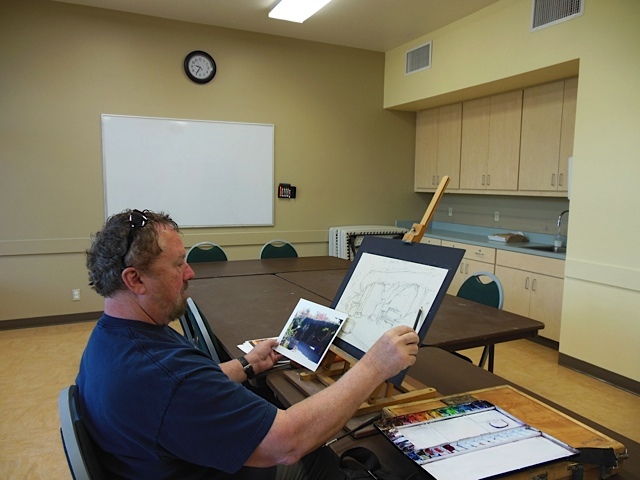 Demo and discuss creating a loose watercolor underpainting as a foundation and guide in setting rough values, composition, and colors for your pastel paintings. We had a fun activity at the last member's meeting. As one of the 10th Anniversary Celebration events, one and all were challenged to participate in our first ever PSSC Quick Draw. 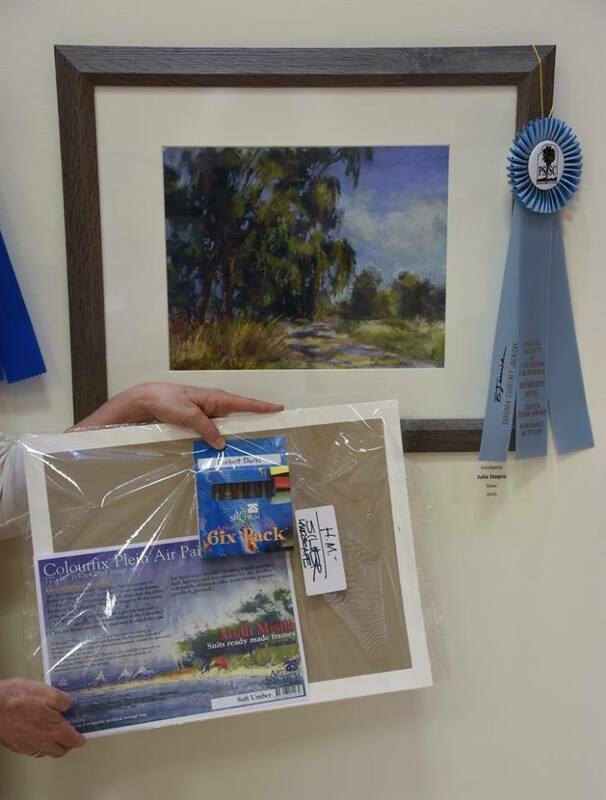 - Tickets would be sold for an opportunity drawing for each of the completed paintings and the winning ticket holder would take it home. Approximately 12 brave souls took up the challenge and set up their easels at the start of the meeting. 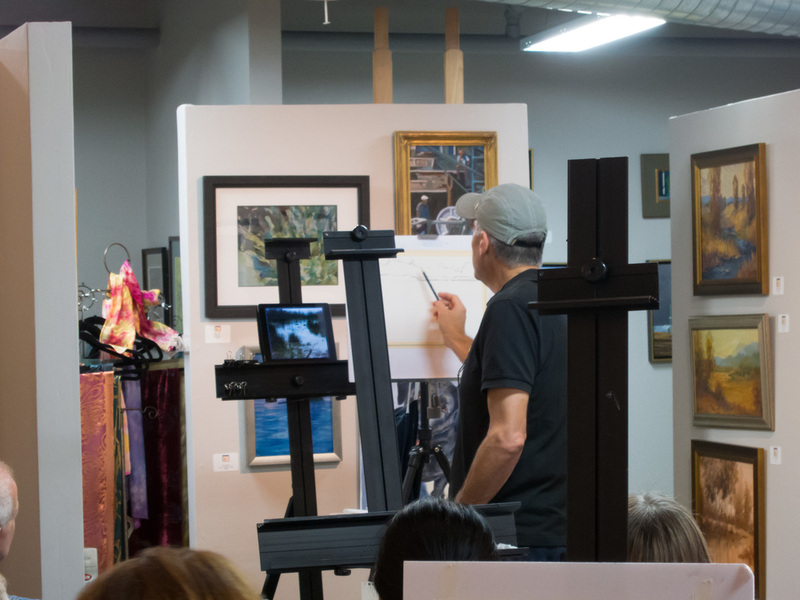 Once all the meeting business and announcements were done, the timer was started and the Quick Draw artists launched themselves to their easels. 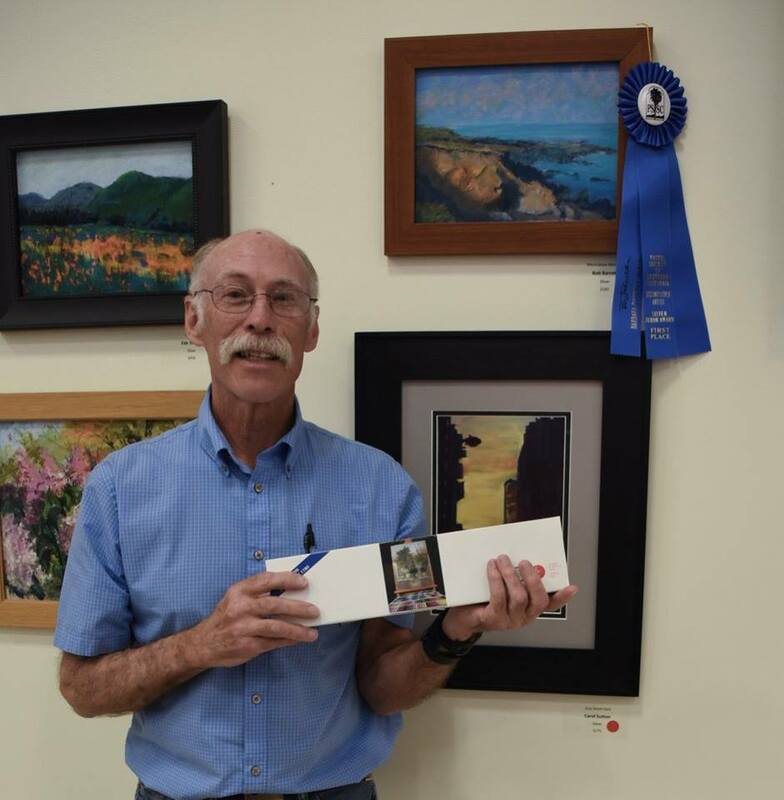 Many of us spent some of the hour stuffing the ticket boxes of the artists in hopes that we would be the lucky one to win a painting. It was a treat to watch all these accomplished artists create beautiful pieces right before our eyes in a little over an hour. When the "pastels down" command came the fun still wasn't over. We were all excited as each artist brought their ticket box forward and picked the lucky ticket from it. It’s safe to say that there were many happy winners that day! 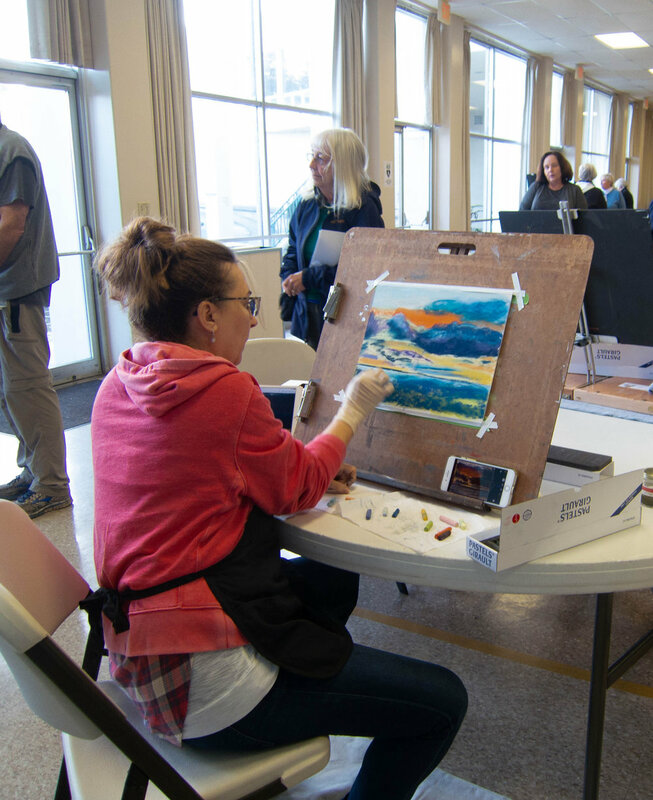 The first Beginner Pastel Workshop was held at Destination: Art from 9:00 – 3:00 on August 4th, with the following teachers participating: Lynn Attig, Dave Wolfram, Bernard Fallon, Paula Brown, Dori Dewberry, and Fran Nichols. 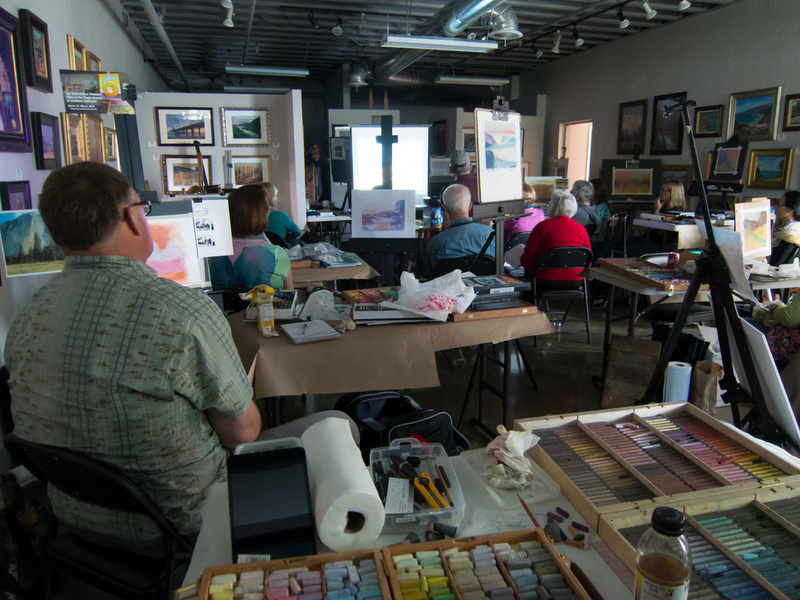 The topics were how to select pastels and paper (Dori); the importance of values in your painting (Lynn); underpainting in watercolor (Paula); color theory regarding warm and cool colors (Bernard); a full demo with pastel application (Fran); and finally how to grind up old pastels, mixing colors, and reconstituting new pastels (Dave). 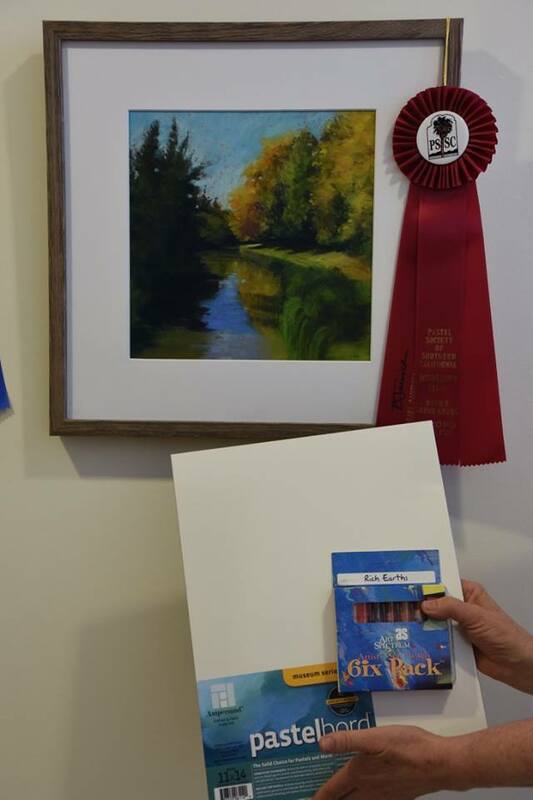 Every student learned how to tape their UArt Paper to a backing board, do a sketch, complete a watercolor underpainting, and apply pastel. It was a lot of information to cover, but all agreed it was a most exciting and informative day. All supplies were provided. We had a most enjoyable lunch time with salads and sandwiches from Kech Café, which gave us a chance to chat and get to know each other a bit more. It was quite an action packed day. The students gave a huge round of applause for the experience they enjoyed with their enthusiastic teachers. 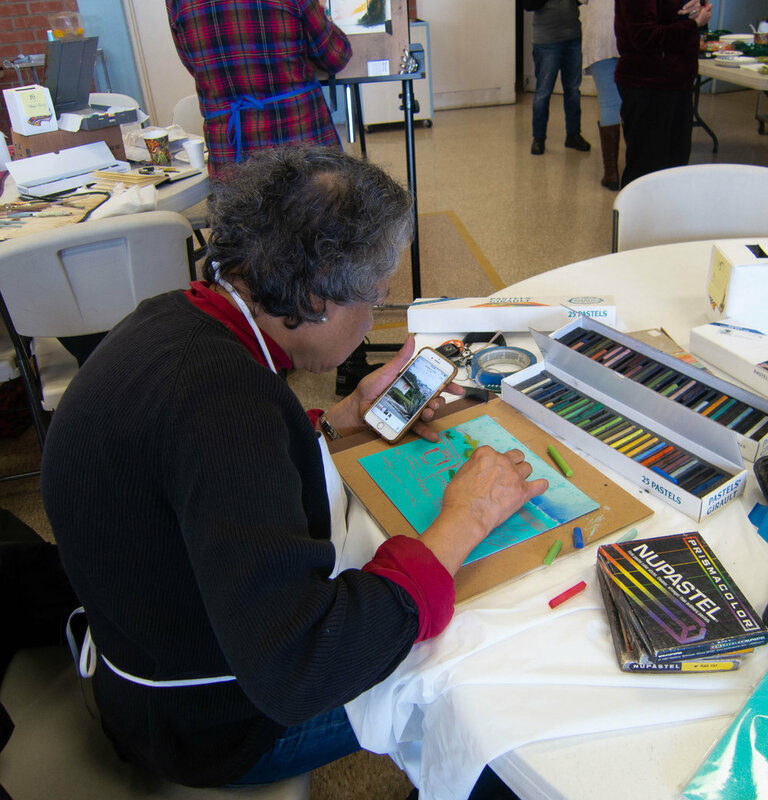 As both PSSC and Destination: Art are non-profit organizations with the mission of informing the public about our art, we felt quite gratified for the opportunity to offer this free workshop! 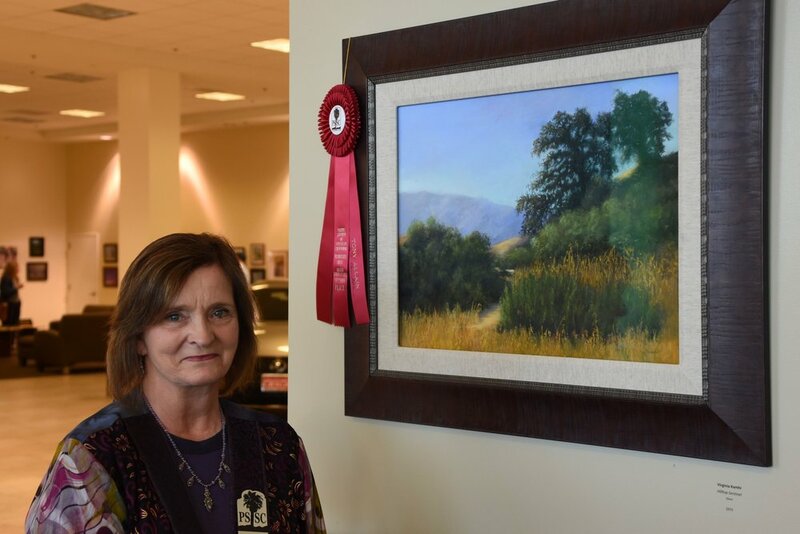 The 8th PSSC Member Show Reception took place on Sunday, April 23rd at the Southbay Lexus Center. 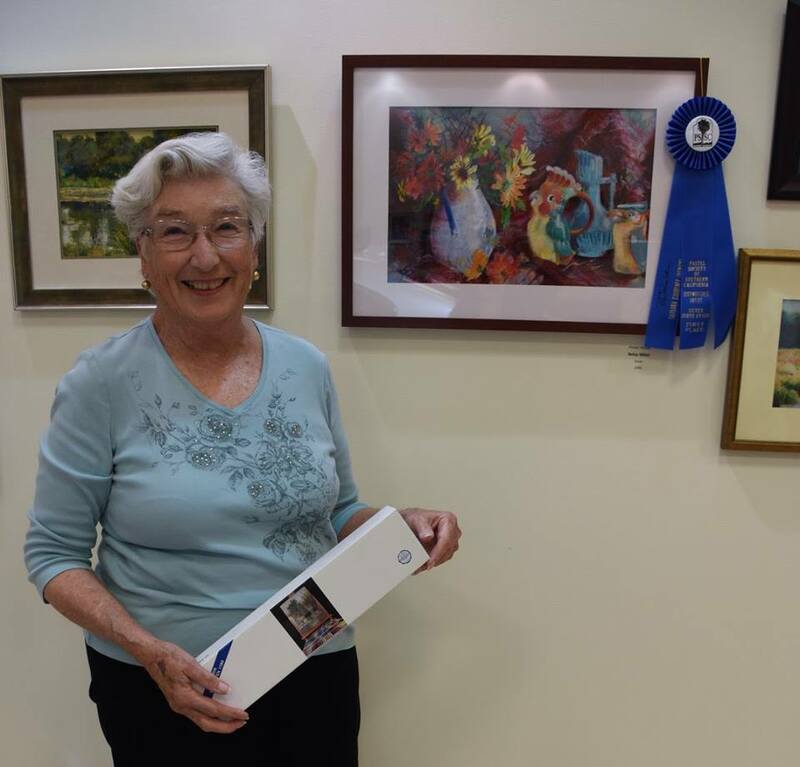 It was a full house with many people turning up to view the artwork, applaud the announcements of the show winners and then stay to enjoy our show juror, Barbara Jaenicke's pastel art demo. 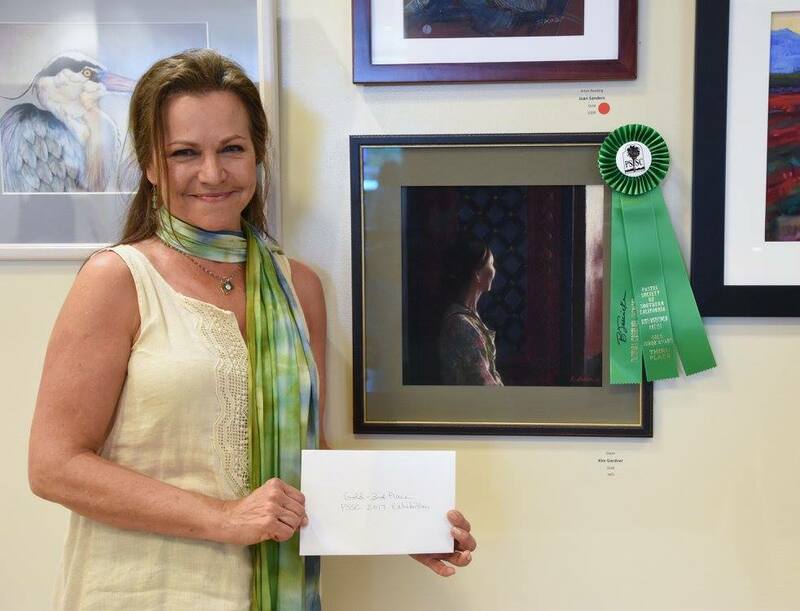 Take a moment to see all our show winners! Many congratulations to all our member participants who made this beautiful exhibition possible. Here are some pictures sent from the IAPS convention going on in Albuquerque, New Mexico. It looks like they are having fun. Makes you wish you were there! Click on the thumbnail to get a better look, and then hover the cursor over the image to see the caption. 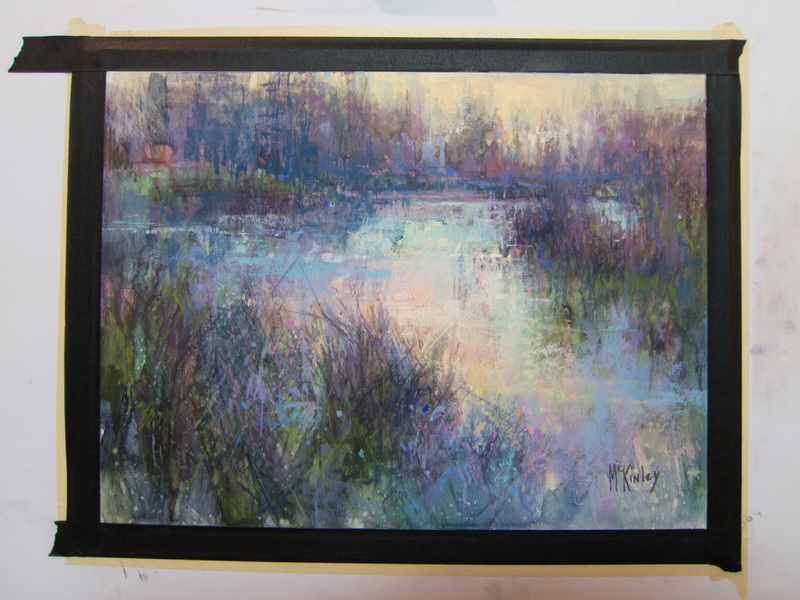 We had a wonderful three days with Richard McKinley at Destination Art. Thanks to Anna Yu for the group shots! Day 1 - We begin....So much to think about. Study your scene, composition, format, shapes, values, ...reflect on it...do it again. Okay, sketch your scene with your best composition. 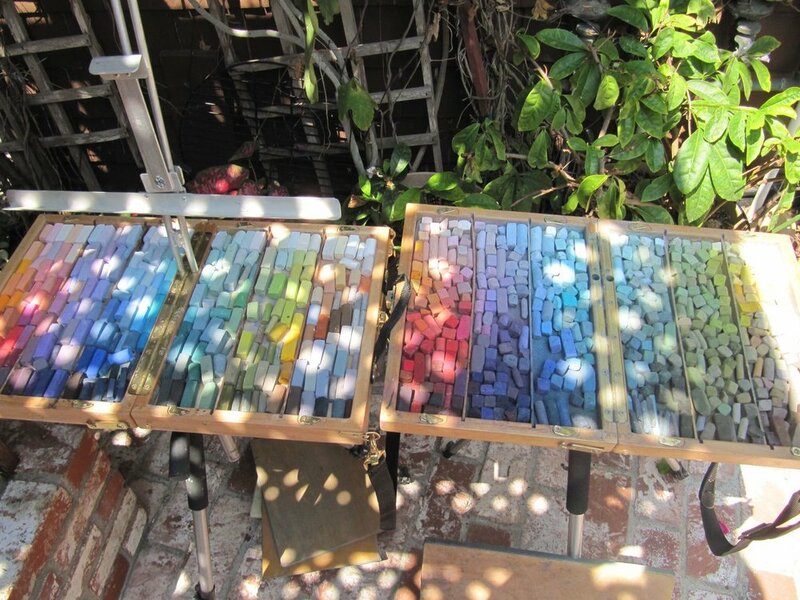 smear them artfully!, ..make it, break it and make it again. And then rebuilt, bit by bit. Sketching with the Mars Violet pencil. Richards done. We're still working on ours, it takes us longer, remember the shapes, values, notan studies, horizon lines, eye view, format....! Think pentimento with your underpainting, what lies beneath. Complementary colors, warm and cool versions of your local color can peek through. Some sneak peeks at Richard's new book. Back to work, the pastel starts to go on carefully. Many more layers go on. Day 3 - We do a wet underpainting! Now the watercolor goes on, again always keeping shapes, values and colors in mind. Mike is laying in the color. Mike is busy as usual. 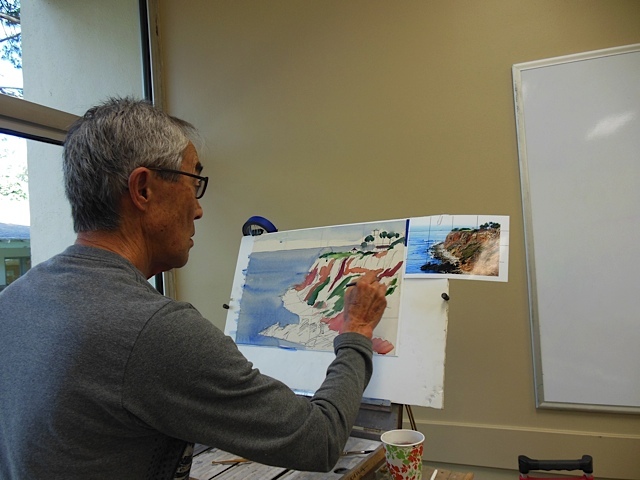 He finds he is selling his coastal paintings well. Lorene is working on a scene at the ocean’s edge with two children frolicking in the waves. She is working hard before the critique. 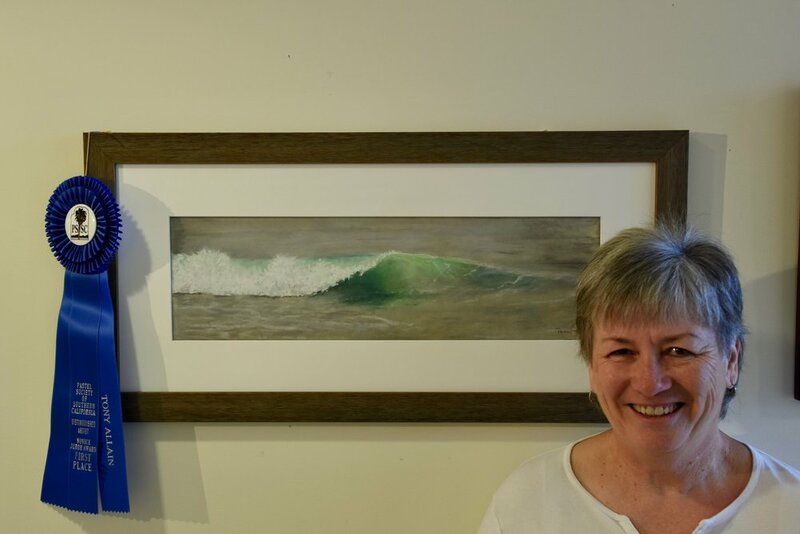 Sue thinks she might be finally finished with this painting that accidentally got sprayed with water! Using hard pastel,washed into Wallis paper with alcohol. Next with watercolor on top to darken even more and then soft pastel. Fran is putting on the finishing touches. Long time graphic designer for artists and a pastelist herself, Julia shared her expert advice on the best avenues for artists to promote themselves efficiently, enjoyably and at little cost in the world of blogs, websites and social media. Her fast-paced overview of ideas, possibilities, tips and tricks was very informative and much appreciated by all! 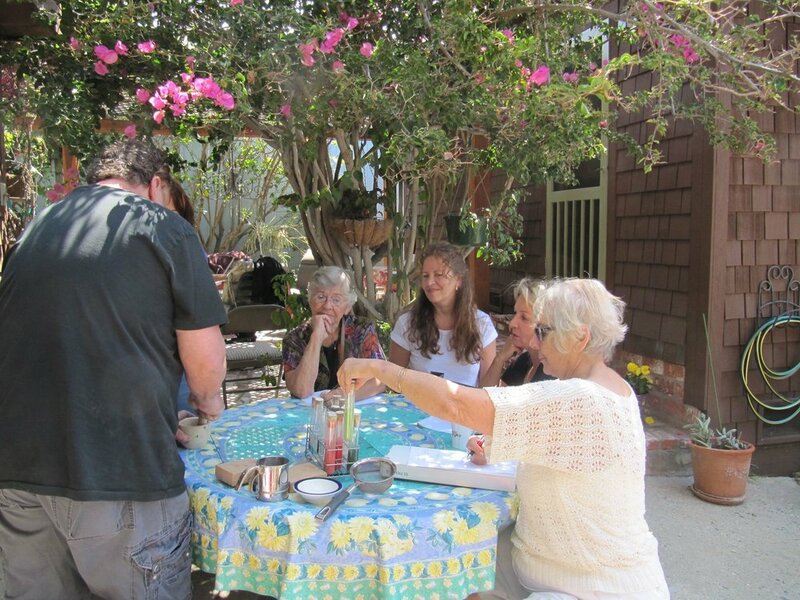 Thanks to Sue K. for the photos from Mary's studio in Laguna Beach. 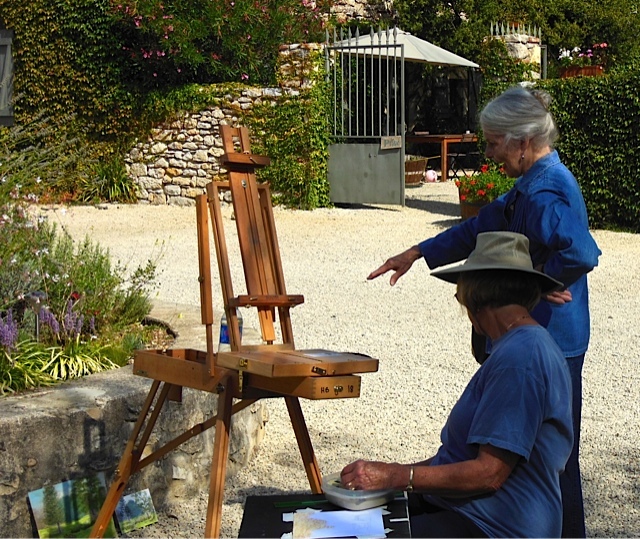 Some of the board members had the opportunity to see a Mary do a demo of her work. The group enjoying the demo. The still life set up. The beginnings of the lay in. Mary Aslin pearls of wisdom. Here are a couple of photos from the Griffith Park paint-out on that took place on October 22nd. 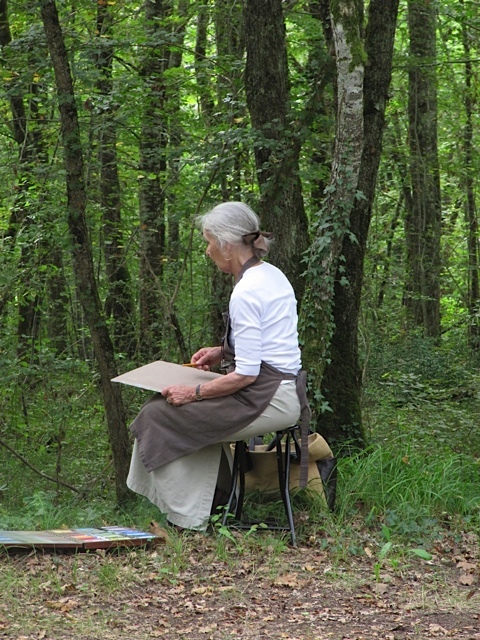 Sue Kuuskamae shared some of her photos from the Elizabeth Mowry workshop that she recently attended in France. On site at a lovely country restaurant. Restaurant where we were painting. The view outside the restaurant. Yummy grapes ready to pick. Let’s get busy here! No resting. Sue, Neal, and Elizabeth are working hard. 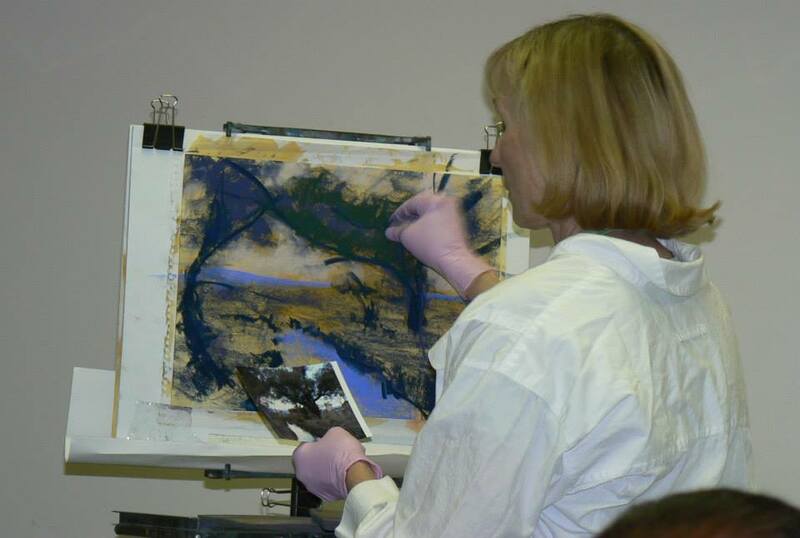 PSSC members enjoyed a demo by Donna Yeager at the September 14 meeting. 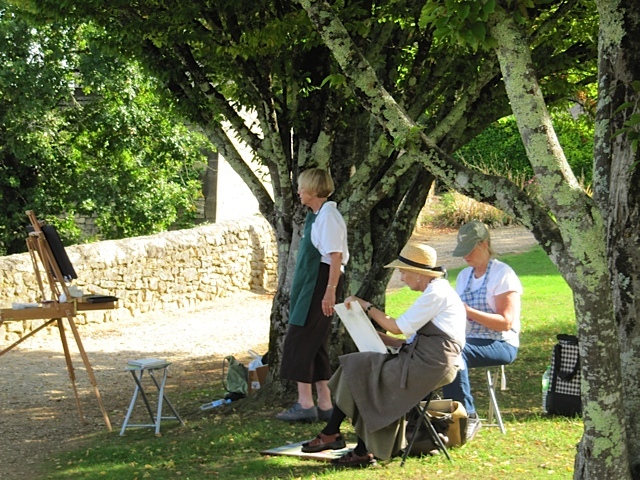 A few days later members had the opportunity to attend a three day plein air workshop offered by Donna. 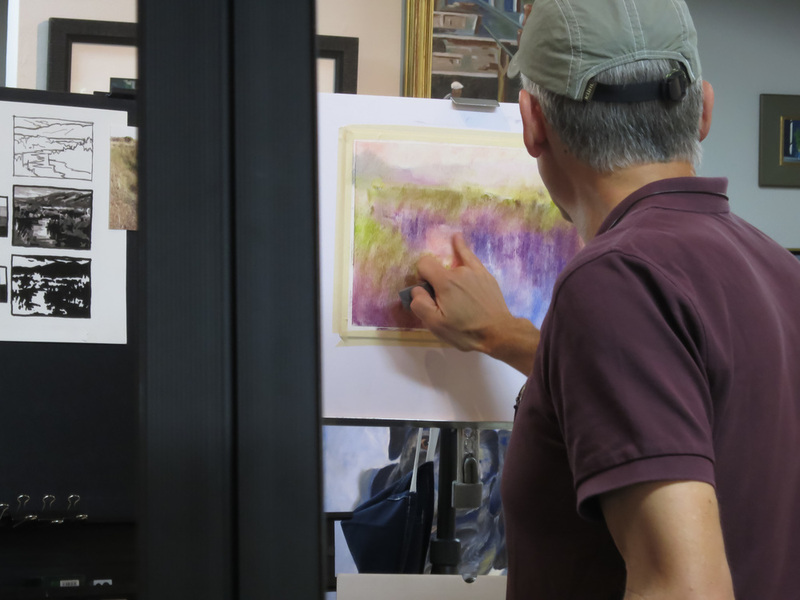 On August 10 a group of six pastel artists met with Dave Wolfram at Sue Kuuskmae's house for a workshop on how to set up your pastel box to help select colors most effectively. Dave described several methods and most of us opted to use the one recommended by Richard Mc Kinley. Here each color group is placed in a different section of the box, with the lightest at the top of the box (where the sky is) gradually getting darker towards the bottom (where the ground is). Neutral colors are grouped together in one section. Dave also gave a demonstration on how to make your own neutral color pastels by grinding to a fine dust complimentary colors. After sifting out the bigger pieces, he put the dust on a glass and added small amounts of alcohol until it became a thick paste. When it is thick enough to pick up, he rolls it in wax paper, lets it dry, and now you have a new color of your making. It was lots of fun, and particularly helpful to have a small group. 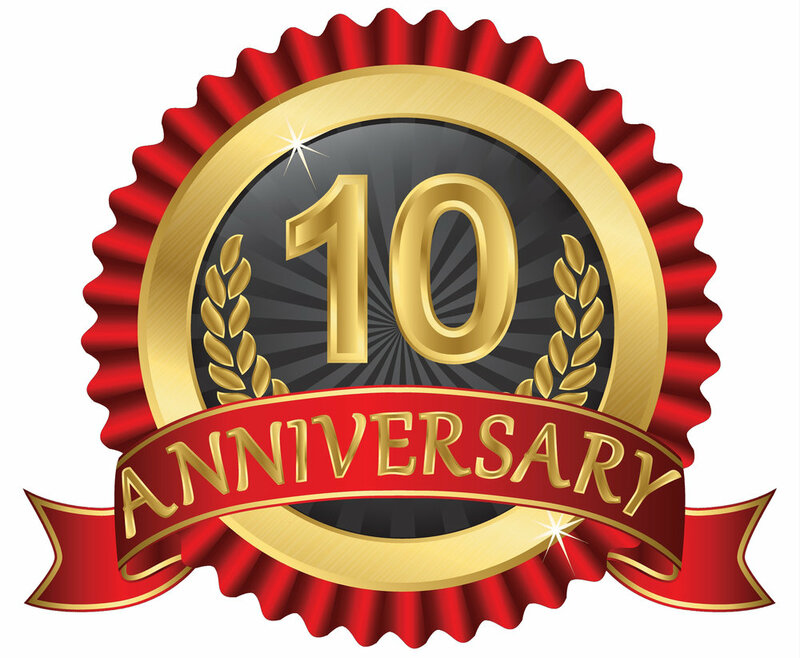 Attending were: Michele Aplin, Nancy Viets, Carla Skinner, Kathy Moorehead, and Sue Kuuskmae. & Eva Muchnik. Dave demos how to make your own pastel. He grinds the complimentary colors to make a neutral pastel. We are watching the process. Adding the alcohol and mashing. 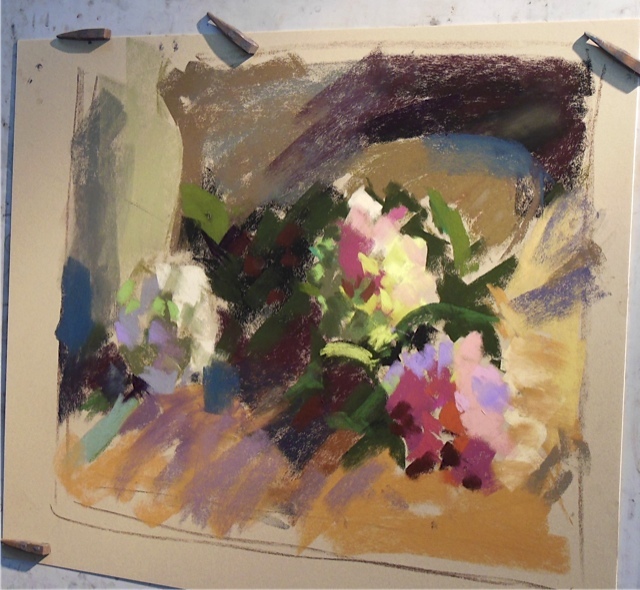 Dave's pastel boxes - one for watercolor underpainting and one with darker paper and no underpainting. Many of us spent four days enjoying Albuquerque, various lectures/demos, classes in pastel, buffets, cocktail parties, dinners, and visiting with new and old friends. Click here to see photos from the workshop.